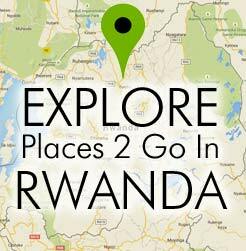 For the adventurous visitor looking for spectacular “off-the-beaten path”activities, Golden Monkey Tracking is a great half-day excursion, especially if time will already be spent in Parc National des Volcans for Gorilla Tracking. 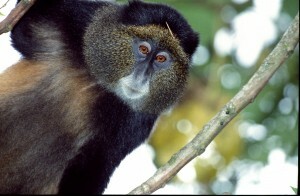 Golden Monkeys are distinguished by their golden body coloration and stark black patches on their extremities. Tracking of these beautiful monkeys is a relatively new opportunity; only since 2003 have visitors even had the option of doing it, making those who choose to track them, an anomaly in the grand total of those who have visited Rwanda. Like the Gorilla, Golden Monkeys are listed as endangered, and are only found among the Albertine Rift, with its main habitat within Parc National des Volcans. While Gorilla tracking is a breath-taking experience due to the docile, lazy nature of the gentle giants, Golden Monkey tracking is equally exhilarating due to their small size, fast and nimble nature, and preference to hanging in bamboo thicket. Do not be fooled by their pace, high locations and low population numbers. There are two habituated groups of Golden Monkey in Parc National des Volcans and similar to Gorilla Tracking, guides are very knowledgeable about where to lead the tracking group to find them. Treks take place in the morning, and once the monkeys are located and followed successfully, visitors are permitted one hour with these playful creatures. The the sightings are unforgettable. For only $100/person, it’s well worth spending an extra day in beautiful Parc National des Volcans to track these special animals. NOTE: You must be 8 years old (minimum) in order to trek.